There is something intrinsically comforting about a warming, wholesome casserole, so it’s easy to see why slow cooker sales have seen a resurgence in recent years. 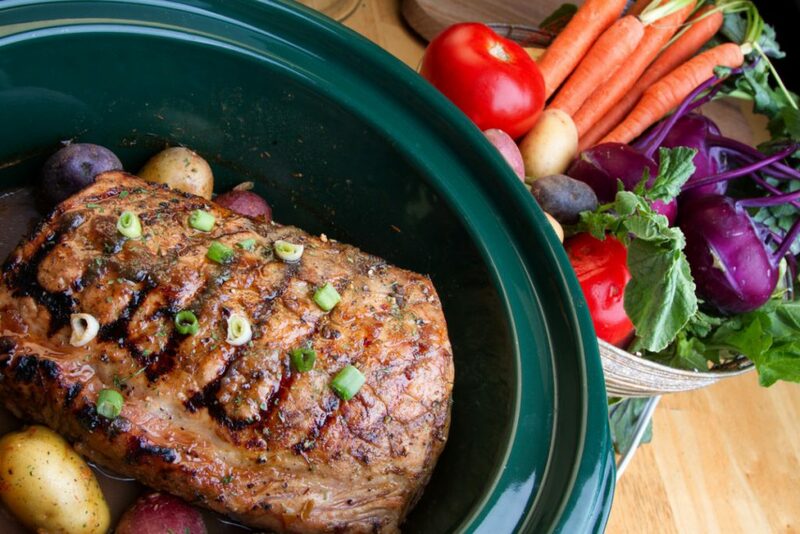 A rise in the popularity of slow cooked meats such as pulled pork, championed by many famous chefs, has undoubtedly added to people seeking out their old slow cookers or purchasing new and improved versions. It ties in with many people’s aspirations to return to slow living, the antithesis to our fast paced, digitally driven lives, along with the desire to create healthy, nutritious food that doesn’t take hours out of a busy day. The slow cooker was invented in 1936 by Irving Naxon in America, a design which he patented and named Naxon Beanery All Purpose Cooker. It began selling in the 1950’s but it was in the 1970’s, when many women were going out to work, that it really came into its own. It enabled them to be at work but still provide a home cooked meal for their families. At this stage Naxon began working for another manufacturer and the famous Crock Pot was born. The 1980’s saw the popularity of the slow cooker dwindle with the invention of the microwave and the desire for fast food and ready meals. However in recent years retailers have reported a rise in sales again, people are becoming increasingly aware of the importance of healthy eating, using fresh ingredients, as well as the many other benefits of slow cookers. They use minimal energy, about the same as a light bulb, so are both cost effective and environmentally conscious. The food cooks in its own juices so requires minimal oil, making them a healthy, low fat way to prepare food. The food cooks very slowly so there is no risk of it burning. Cheaper cuts of meat can be used as the slow cooker will tenderise even the toughest cuts of meat. There are many delicious recipes available online or cookbooks dedicated to slow cookers, so whether it’s a hearty casserole or a tasty pudding you fancy why not give slow cooking a try. If you are thinking about updating your kitchen why not pop into our Black Rok showroom in Uckfield for some advice.